With a new season generally brings a few updates in our operation, a couple of which is updating some of our application equipment. One of our updates is a new Airmax Terra Gator TG8400B, it will have full VRT capability and a maximum accurate rate capacity of 1200 lbs/ac at 10 mph. Holmes Agro also partners some custom application acres with Andrew Gallaugher, a local grower and professional applicator. Andrew will also have a new machine for the season with his RoGator R G1100C with the all new G5 spinner box. This new spinner has all the capabilities of the G4 we have gained a great amount of confidence in with the additional feature of Swath Control. 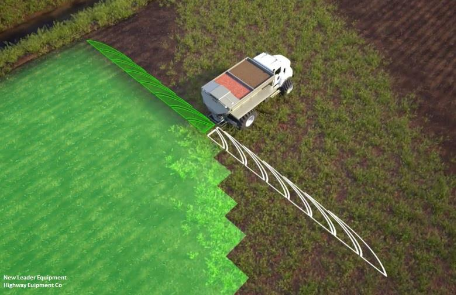 Along with up to 120 feet spread patterns and VRT capabilities, this is the first spinner on the market to offer swath control and last pass capabilities with higher rate capacities. Simply put it is maximizing placement of the fertilizer with 16 section shutoff only spreading material where needed with minimizing overlap. See the image below. Overall we strive to keep as up to date as possible in application technology to offer you the best services available to provide the best return on your inputs. Beyond conserving the soil, the forward thinkers who embrace ETS Zone tillage today are actively helping rebuild and revitalize your land. You can mitigate erosion and compaction while you improve soil health, creating more natural physical and biological harmony. Besides minimizing water and wind erosion, this helps save you trips across the field, which reduces fuel and labor. Strip tilling features more precise and concentrated fertilizer placement combined with increasing organic matter and soil health over time. Some overall benefits include soil health is improved as the physical and biological advantages of ETS zone tillage assure every seed is given every opportunity to reach its full genetic potential, promising robust yield year after year and for generations to come. The soil warrior will be operated in alliance with local custom farm operators. Best suits for GPS/RTK compatible planting equipment. VRT prescriptions are available based off a grid sample or yield map files. Contact your local agronomist to find out how the soil warrior can fit on your farm today! We understand that smart management decisions are a must in your precision farming operation. And, because you may have data from different systems and sources, we aim to support as many data types as possible. 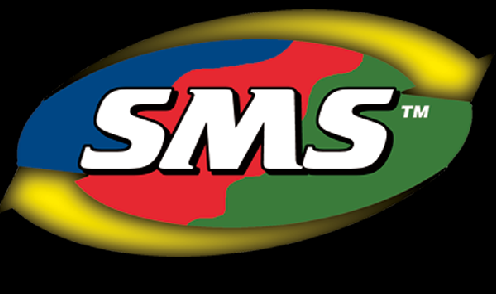 Ag Leaders industry- leading SMS Software was developed with this in mind, so you can makes well-informed decisions based on all your data. Create and manage soil sampling points, grids and regions. Easily sync label soil test results with sample locations in the field. Analyze harvest data by field area application records, as planted maps etc.